100% Polyester Twill, 215gsm (main body). 82% Nylon, 18% Spandex tricot (gusset). Stretch star gusset for comfort and maximum maneuverability . Nonslip elasticated waist and internal drawcord. CCC embroidered logo on right leg. 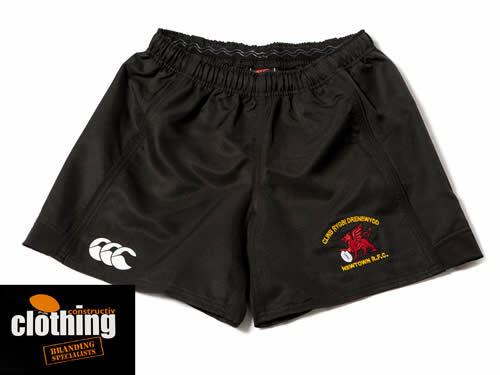 NRFC embroidered logo on left leg. Size Please Select...28" 30" 32" 34" 36" 38" 40" 42" 44"